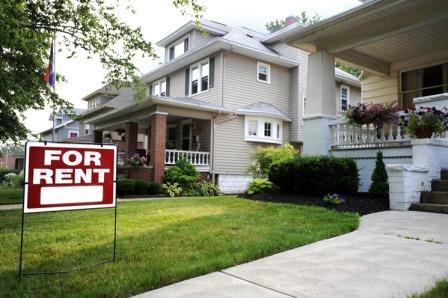 A survey of renters by Freddie Mac reveals that 55 per cent say their next home will also be rented. The research reveals that financial priorities mean that putting cash aside for a downpayment comes below saving for emergencies, children’s education and retirement. "We will continue to monitor the sentiment of renters closely," said David Brickman, executive vice president of Freddie Mac Multifamily, "but for now it appears renter concerns about household finances and rising rents may be stimulating less interest in buying a home and more on renting one with cost-saving features." The poll was carried out in September among 1,362 renters aged 18-68. There was a rise in mortgage applications for new homes in October, the Mortgage Bankers’ Association says. The year-over-year rise of 8 per cent excludes seasonal patterns and is down slightly (2 per cent) from September’s level. Conventional loans made up 67.7 per cent of all applications with FHA’s amounting to 18.4 per cent and VA’s 12.9 per cent. "Year to date, the market share of builder applications has grown for conventional loans from 67.1 percent last year to 67.9 percent in 2016 and VA loans which increased from 12.5 percent last year to 13.1 percent in 2016. The share of mortgage applications for new homes fell for FHA and RHS loans to 18.3 percent and 0.7 percent respectively," said Lynn Fisher, MBA's Vice President of Research and Economics. Massachusetts’ housing market continues to show strength with a rise of 15 per cent for pending single-family home sales in October compared to a year earlier. Massachusetts Association of Realtors reports that there were 5,680 pending single-family sales in the month with a median price of $355,778, up 6.2 per cent year-over-year. For condos, the rise was 8.7 per cent in sales to 1,984 and the median price was up 2.8 per cent to $327,000. The association’s confidence index reveals a 20th straight month of gains among Realtors.